Deoria Tal is a spectacular lake reposing at an uphill trek from Mastura and Sari village. 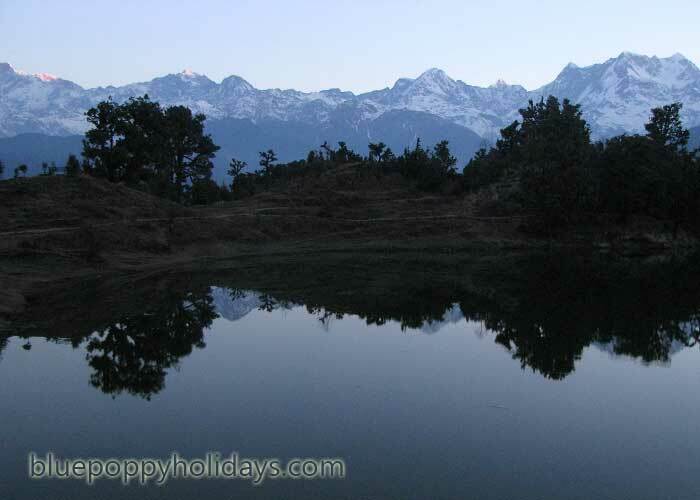 Also called by the name of Devariya Tal, it’s about 3 km uphill on the Ukimath-Chopta road. It’s a rocky path that offers natural glimpses all the way long. 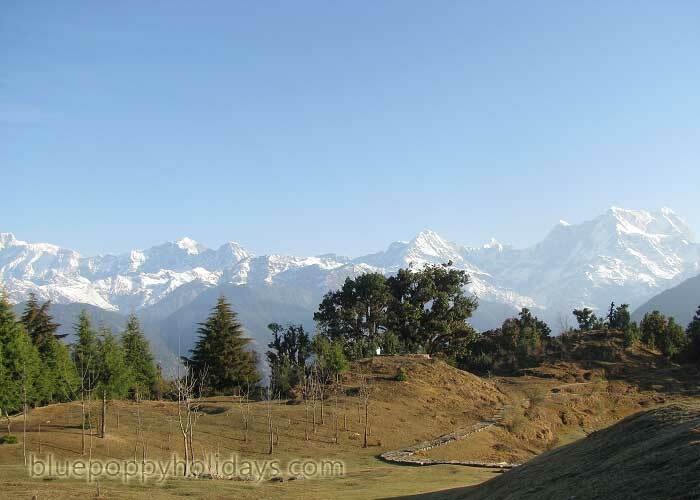 Perched at the height of 2387 mts, it’s endowed with heavy woods, lush green flora and snow clad mountains. It is famous for its 300 degree panorama. You can spot mountains like Chaukhamba, Nilkhantha, Bandarpunch, Kedar Range, Kalanag and Yellow Tooth. As per mythology, the Devas (gods) bathed in this lake. Some people believe it to be the “Indra Sarovar’ referred in the ancient scriptures (Puranas). It is also believed that the Yaksha asked questions to Pandavas at this lake. Apart from legends, this place is an ideal spot for bird watching and angling. The emerald lake has the lofty Neelkanth and Chaukhamba peaks in its backdrop. 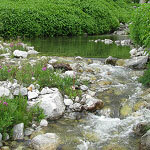 It’s a delightful sight for travelers where the dense trek fuses with aqua waters and a tranquil scene is created. The early morning witnesses reflections of the mountain peaks on the crystal water. 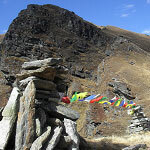 It is a popular trekking destination for its location as well as scenic charm. The calm and serene lake is most famous for its crimson dawn and star-studded nights. At such an astounding altitude, it feels closer to the sky and the atmosphere is impeccable. 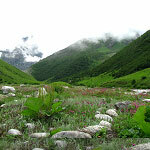 As the Deoria Tal lies in the Kedarnath Musk Deer Sanctuary, one may spot some animals at times. 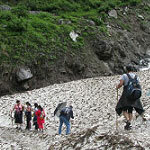 Being a part of the one the most endearing and sought after treks, this location is worth visiting. People capture lovely moments of Mother Nature here. Right from the time when the sun rays kisses the Deoria Tal to midnight, the place stays beautiful and enchanting. One can arrange for tent accommodation and spend substantial time enjoying the placid locale. The summer in Deoria Tal is very pleasing. 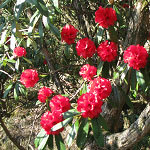 March to Mid-June are said to be the best time to visit Deoria Tal. Pack warm clothes for cold nihgts. Mid- September to late of October are considered the best time to visit besides the summer season. 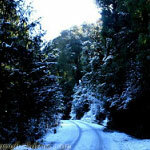 From November to February there will be extreme snow fall in Deoria Tal so you need to bypass winter. 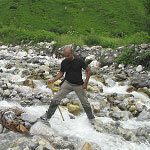 Trekkers usually do Deoria Tal Trek from March to Mid- June. Nights are cold round the year. Monsoon season must be avoided due to landslides and road blockages. 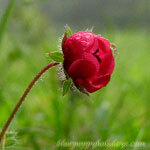 In Monsoon the cold regions becomes more colder due to heavy rains and the cold is beyond tolerance to many people. 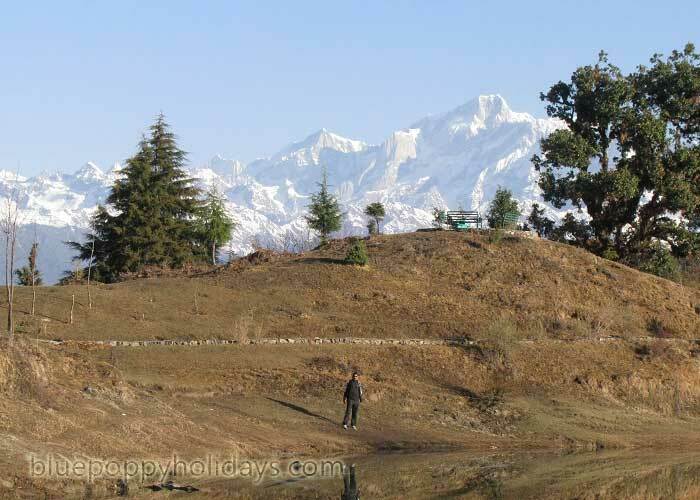 Deoria Tal to Tungnath Trek is inaccessible during winters due to heavy snowfall. 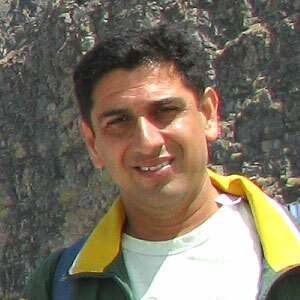 I am planning to do Deoriatal-chopta-tungnath trek by own. Could you please guide me from where I will get buses easily for Ukhimath, from Hardwar or Rishikesh? We would like to tell you that public transport is not very good there. You can hire a taxi for yourself. Otherwise, you will get a bus upto Ruderprayag from Haridwar. Then you can a take a cab upto Ukhimath and then you would need a taxi for yourself (Ukhimath onward).